The 13th May, Triple Celebration. 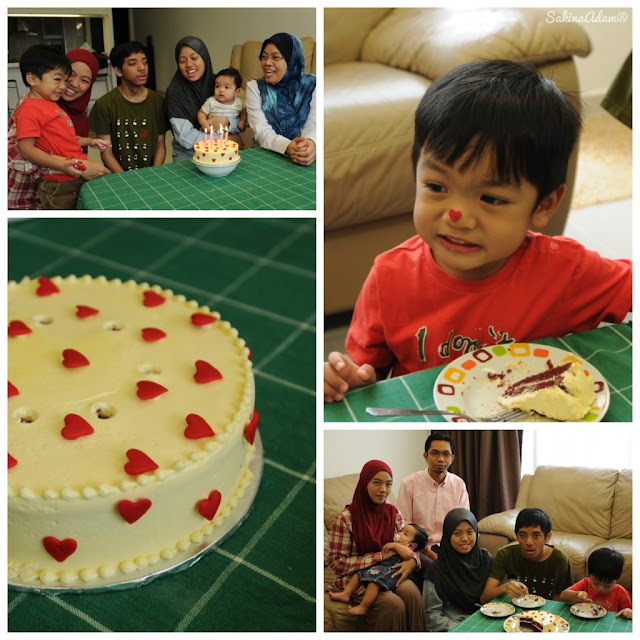 Mother's Day, Yusuf's Birthday on 13th, & Aisha's on 14th. Early morning, sister called asking what's my little family program on that early morning. I said, nothing. Just stay at home, and later will go to Delicious for Afternoon Tea with Adams which i planned with her on Thursday. 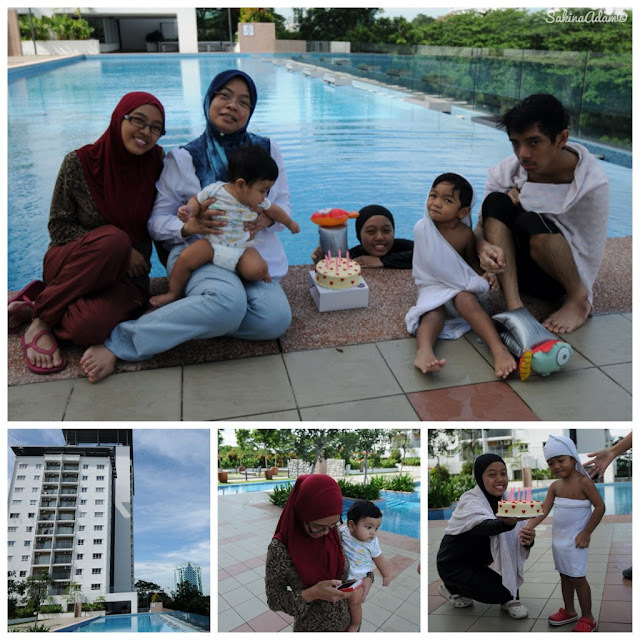 So, she and the rest of ADAMS came over my house and did cake celebration by the pool. Ahah. Sis bought Red Velvet from Bisou *memang my fav! 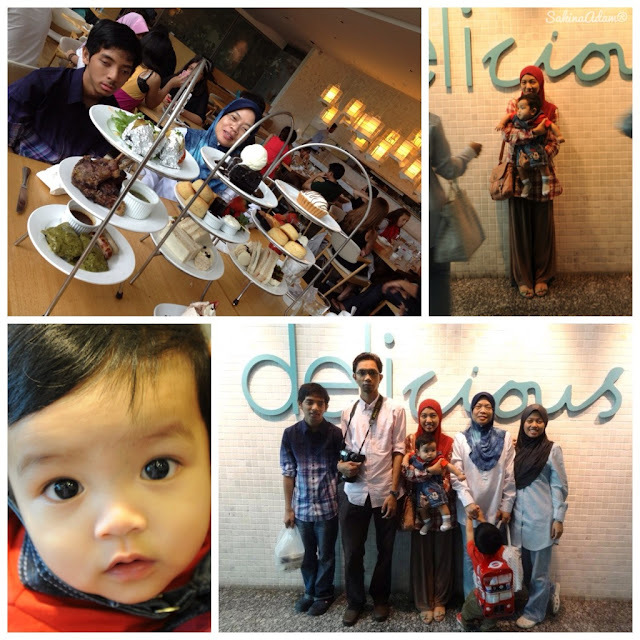 * Its been a while the ADAMs didnt have any tea occasion at Jelatek *ever since the January celebration ;). Now waiting eagerly end year to come. All the ADAMs will get back together. Its FULLHOUSE yo! Love to the MAX. Yes, we are close, and i want it always be. Mom and dad always find a way to have all of us gather in 1 table like having dinner at home or outside. Mostly, at home. Dad will cook Beriyani as special menu for the last dine of having ADAMs fullhouse *usually.